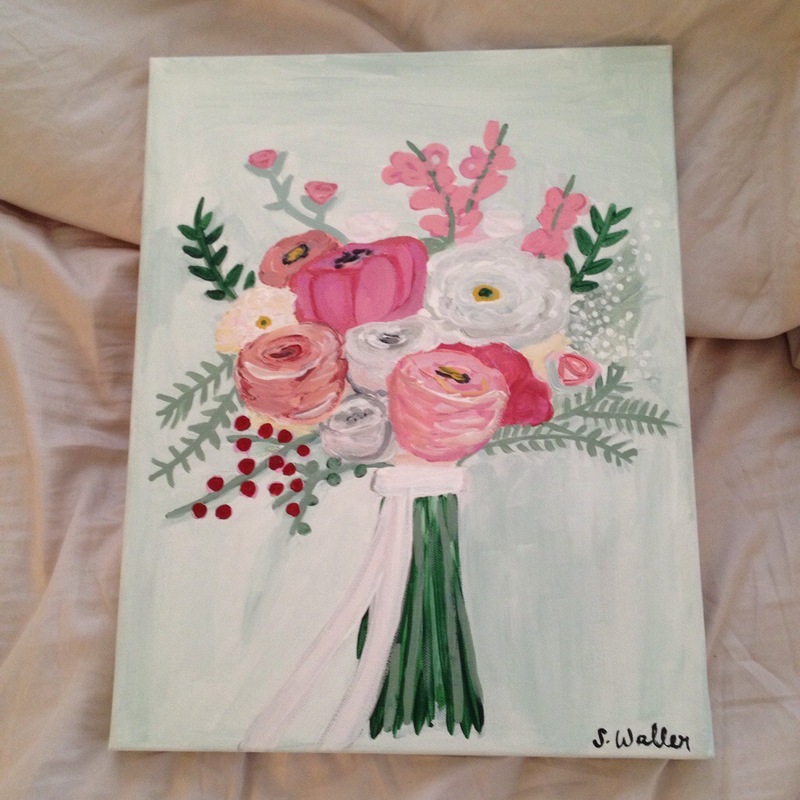 For a last minute birthday present, I pulled together a quick painting of my friend’s wedding bouquet. 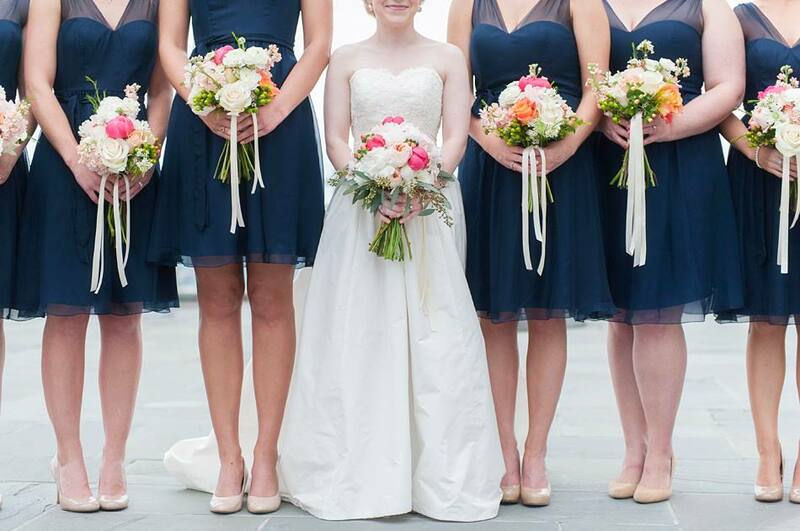 Her wedding was back in May, and a single adjective could not properly describe how spectacularly amazing her flowers were. If I had more time, I wish I could have found a better picture of her specific bouquet to create a more exact portrait, but since the idea came to me a week before her birthday, I painted something based on memory. 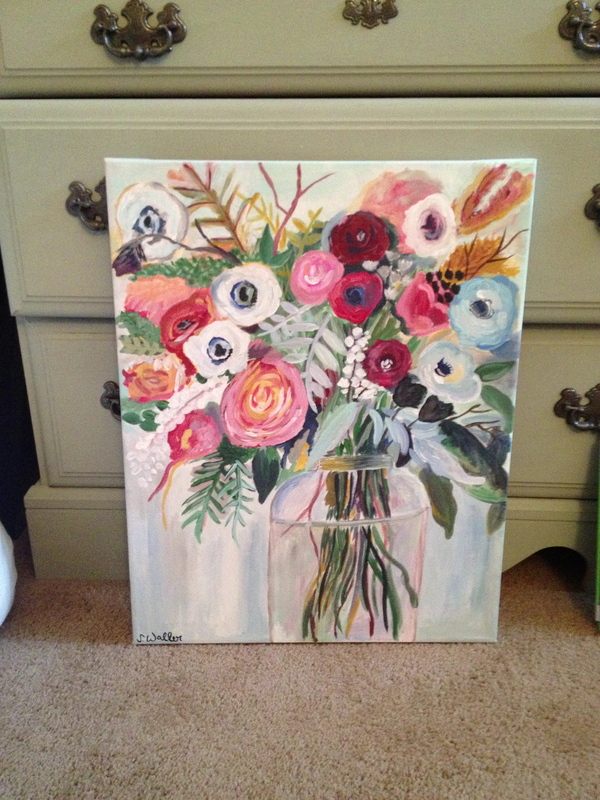 My painting definitely did not justify the beauty of the actual bouquet, but I think the painting came together well with only a couple hours to execute it on Sunday morning. This morning, I sketched out another rendition of the bridesmaids’ bouquets that I’m hopeful to paint in the coming weeks. 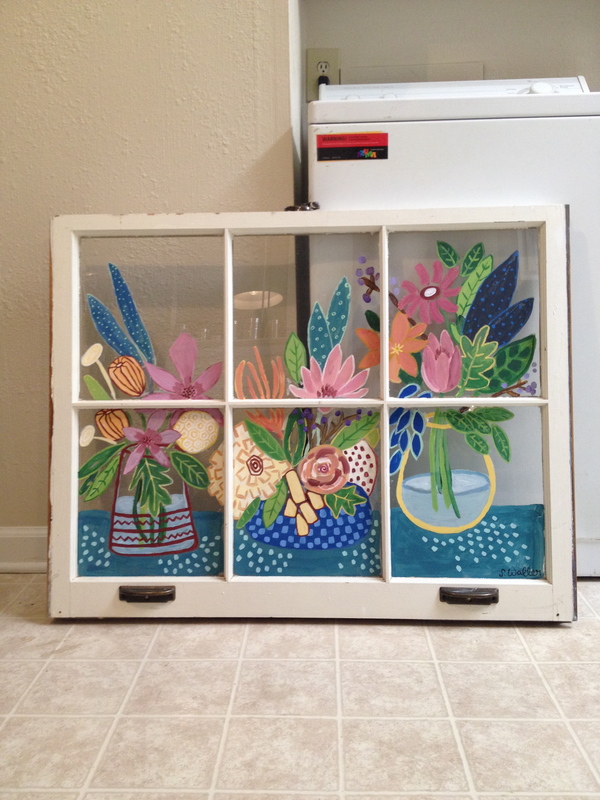 Several months back, I purchased this old window at a savage sale, and finally, I decided to do something with it. I found an image online of similar-styled flowers, and I was inspired! 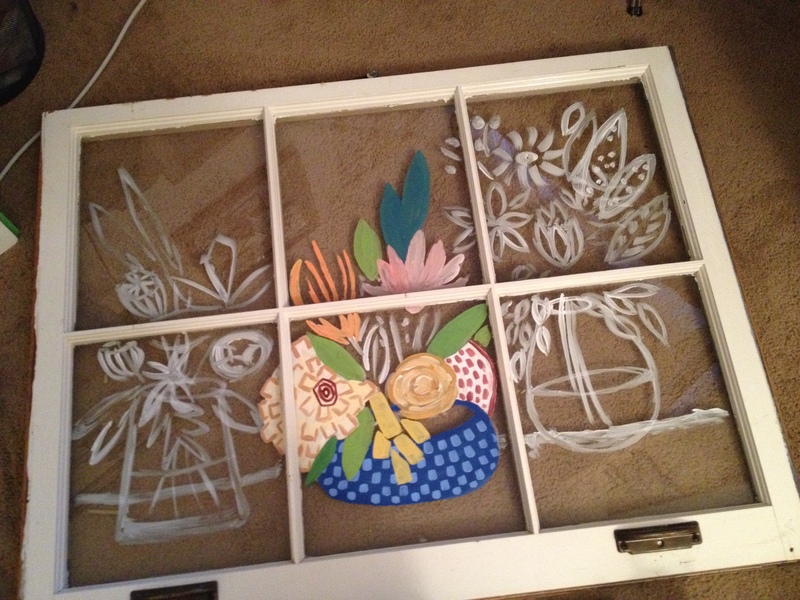 I find it rather annoying to paint on windows. I just use acrylic paint, but if you know of short cut or trick, I would love to know! Though I do like that if you make a mistake, you can easily wipe it off and start again.